First, let us go on record for saying that there is no sly political motive to our use of the term “holiday” in the title of this post. Admittedly, we have a bit of a liberal slant, but we have no aversion to using the phrase “Merry Christmas.” But ho, ho, ho, we do have an inordinate fondness for alliteration. Of course, we might have called it the Happy Hanukkah Health Wonk Review instead, but we wanted to encompass Hanukkah, Christmas, Kwanza, New Year’s, and even the dubious Festivus. Whatever your flavor or inclination, we wish you a merry, happy, joyful one. Pentatonix says it better than we ever could, so a bit of a seasonal interlude before we get to this week’s entries. *** First up, at Managed Care Matters, Joe Paduda is never one to shy away from calling it as he sees it and this week his submission takes on the GOP tax bill, which he describes as “a mess, riddled with math errors, contradictory language, and un-implementable directives.” Congressional leaders say they have reached some agreement and will vote before the end of the year, so Joe’s post will give context. *** Roy Poses proves once again that the devil is in the details and he consistently makes it his blogging business to dig through the details to hold feet to the fire. At Heath Care Renewal, he tracks down more about a barely-reported Pfizer settlement for “alleged” anti-competitive behavior that nearly slipped through the radar. He says that the lack of negative consequences suggests that the impunity of top health care leaders is is worsening. Check out his post One Barely Noticed Settlement by Pfizer Suggests the Futility of Polite Protests about Health Policy. *** How will the CVS purchase of Aetna affect the healthcare landscape? Jason Shafrin aka The Healthcare Economist weighs in with his informed observations. And another of our regular wonks weighs in on the merger. 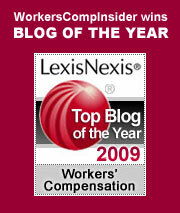 David Williams of Health Business Blog posts CVS + Aetna. Are we sure this adds up? Despite talksthat this combo will lead to a revolution in care delivery, he remains a skeptic and talks about why. *** Acknowledging that the individual market for health insurance has become unaffordable for many of the unsubsidized — particularly older would-be enrollees — Andrew Sprung outlines various ways to keep Modified Adjusted Gross Income (MAGI) below the subsidy line. Check out his post Steering clear of the subsidy cliff in the ACA marketplace at xpostfactoid. *** Vincent Grippi of CareCentrix submitted a fun #CareTalk video podcast, featuring HWR regular David Williams teaming with John Driscoll of CareCentrix. In a point-counterpoint format, they spar about the implications of 2017 elections on healthcare (think Maine), move on to value-based healthcare and they close the 10 minute segment with a lightning round. *** Brad Flansbaum of The Hospital Leader has an interesting post about Locums vs F/T Hospitalists, posing the question, do temps stack up? He reports on a JAMA study, adding his perspective. Now I must confess that the term “locums” was a new to me, but Brad gives it good context. But if you are curious to the origins, as I was, Wikipedia is your friend. *** In his post The Positive Side of Sharing, InsureBlog’s Henry Stern has the latest on a reader’s experience with a Health Care Sharing Ministry. (He offers this spoiler alert: it’s actually been pretty good). *** Shopping for individual health insurance or know someone who is? If your state uses HealthCare.gov, you have until December 15 to enroll, but in other states, you may be able to enroll as late as January 31. Victims of Hurricanes Irma and Harvey may also have extensions. Louise Norris has all the details in her guide to buying individual health insurance at healthinsurance.org. For more, see Timothy Jost’s post on Health Affairs Blog: Open Enrollment Ends Friday—Except For Those Qualifying For Special Enrollment Periods. 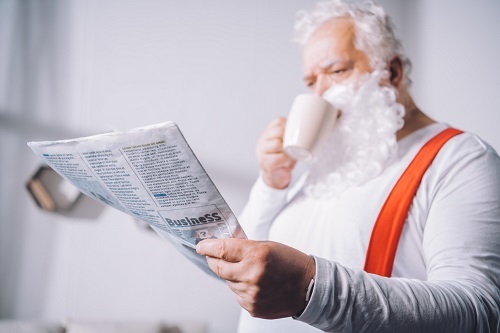 Is Santa Claus a bad employer?